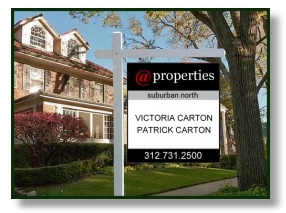 Two years after a merger created the longest name in Chicago residential real estate, it appears the whole is less than the sum of its parts. Berkshire Hathaway Home Services Koenig Rubloff Realty Group was the only one of the Chicago area’s top five residential brokerages whose sales volume declined in 2015, according to REAL Trends, a Castle Rock, Colo.-based consulting firm. While Berkshire’s local sales fell 2.8 percent from 2014, to $4.56 billion, the other top brokerages notched increases ranging from 1.7 percent to @properties’ meteoric 29.3 percent. Combined, sales at the top five rose to $28.37 billion. Michael Pierson, Berkshire’s local president, attributed the firm’s drop last year to two factors. “The luxury space struggled in a few suburban communities,” he wrote in an email, and many new-construction projects that were expected to close in late 2015 didn’t land on the firm’s books by year-end, but were delayed until early 2016. It was Berkshire’s second year of shrinking sales. Its volume fell almost 12 percent from 2013 to 2014, according to REAL Trends. The brokerage was formed in 2013 through the merger of Koenig & Strey Real Living and Prudential Rubloff. Though some agents left after the merger to join other brokerages, the firm employs 1,400 agents now, up about 100 from the beginning of 2015. Berkshire Hathaway’s sale drop suggests that the merger has not worked out. But one local real estate executive said the slowdown at Berkshire isn’t entirely unexpected. Berkshire ended 2015 as the region’s fourth-largest brokerage in sales, down from second in 2013. Coming in at No. 2 in both 2014 and 2015 was @properties, whose sales grew almost $1.7 billion last year, to more than $7.3 billion. Much of @properties’ increase in volume was fueled by growth in the size of its salesforce, said Mike Golden, a co-owner of the brokerage. The firm opened new offices in Oak Park, Northbrook and Lake Geneva, Wis., in 2015, and expanded others, Golden said. It ended 2015 with 1,860 agents, up more than 14 percent from 1,626 at the end of 2014. He provided figures showing that the sales volume per @properties agent increased more than 11 percent during 2015, to $3.95 million, from about $3.55 million in 2014. In the past four years, @properties sales have grown more than 250 percent, according to REAL Trends. That’s more than five times the growth rate at the No. 1 and No. 3, Coldwell Banker NRT and Baird & Warner, respectively. The space between Golden’s firm and perennial frontrunner Coldwell Banker NRT was more than $3.6 billion in 2011; now, it’s less than half that. Can @properties overtake Coldwell Banker NRT? A Coldwell Banker NRT spokesman declined to make an executive available for an interview. One Chicago-based brokerage dropped out of the top five this year, displaced by one that’s based in Joliet. Coldwell Banker Honig-Bell/the Real Estate Group, whose ownership is entirely separate from Coldwell Banker NRT, had over $2.86 billion in sales in 2015, besting 2014’s No. 5, Jameson Sotheby’s, by almost $1.7 billion. Last May, the Joliet firm Coldwell Banker Honig-Bell acquired Appleton, Wis.-based Realty Group Of its 1,250 agents, 400 work in Wisconsin, according to the brokerage. As a largely suburban firm working in mid-priced markets and lower, “we have to work a lot harder to get to those levels,” said the firm’s chairman, Ed Prodehl, who owns the brokerage with his four children. REAL Trends’ data backs him up: The firm’s agents worked as either the buyer’s agent or seller’s agent on 16,736 home sales last year, according to REAL Trends. That’s less than Coldwell Banker NRT’s 27,128, but more than @properties and the rest by a thousand or more.